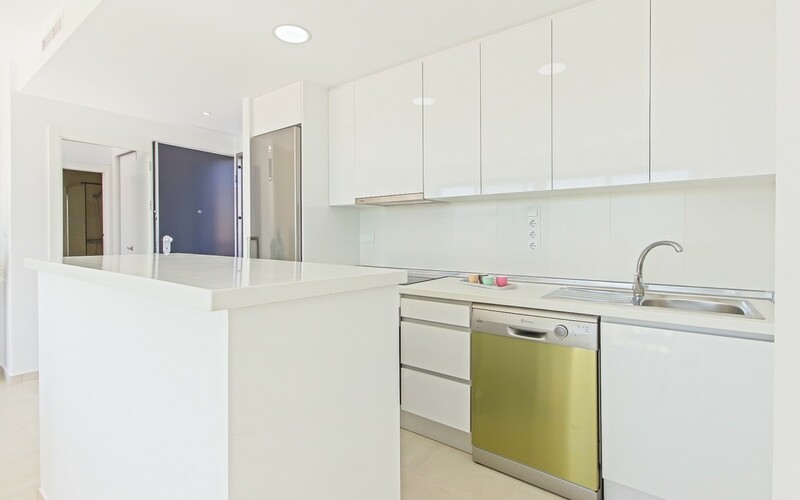 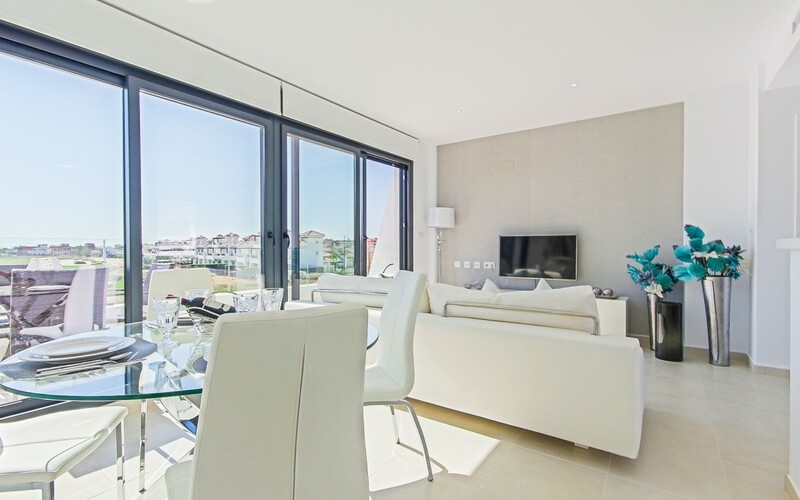 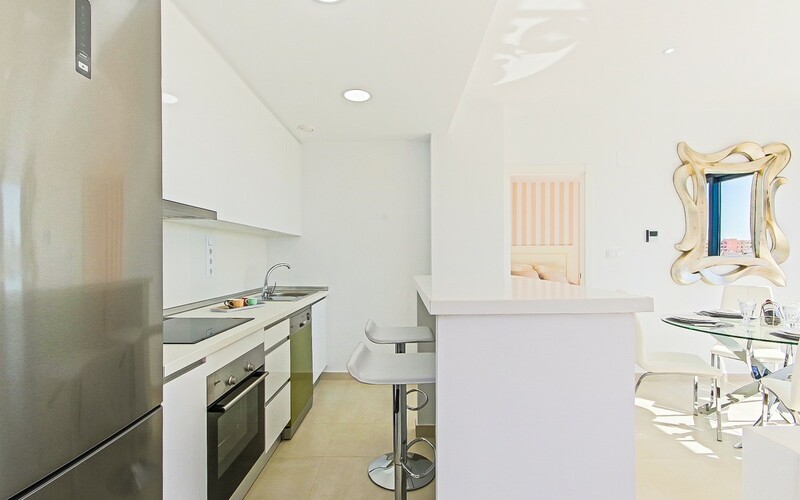 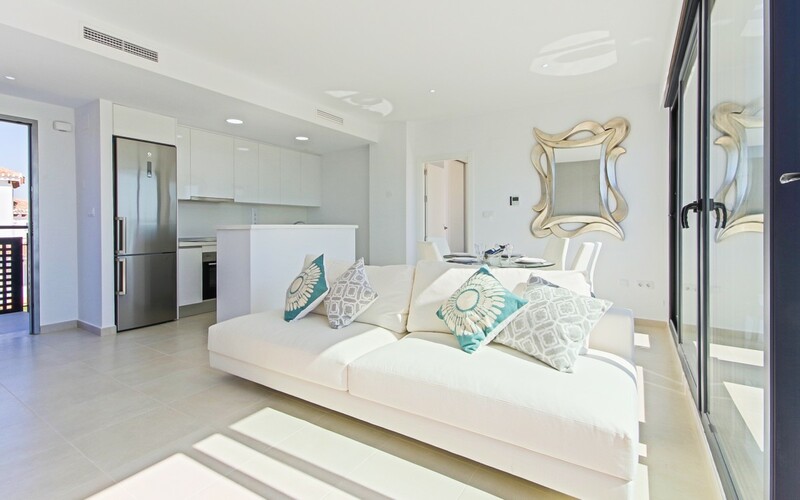 These contemporary apartments are brand new and ready for handover. 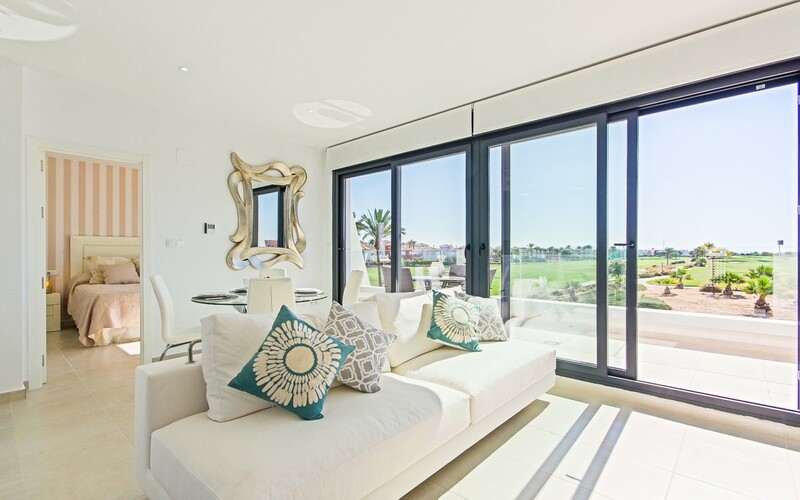 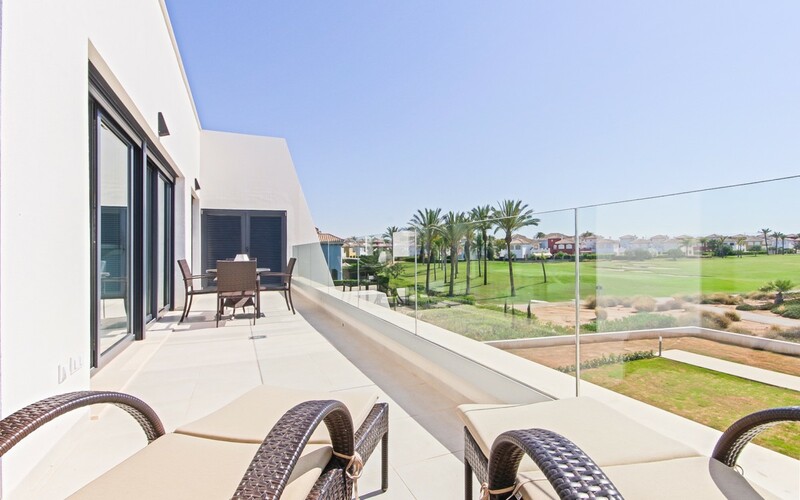 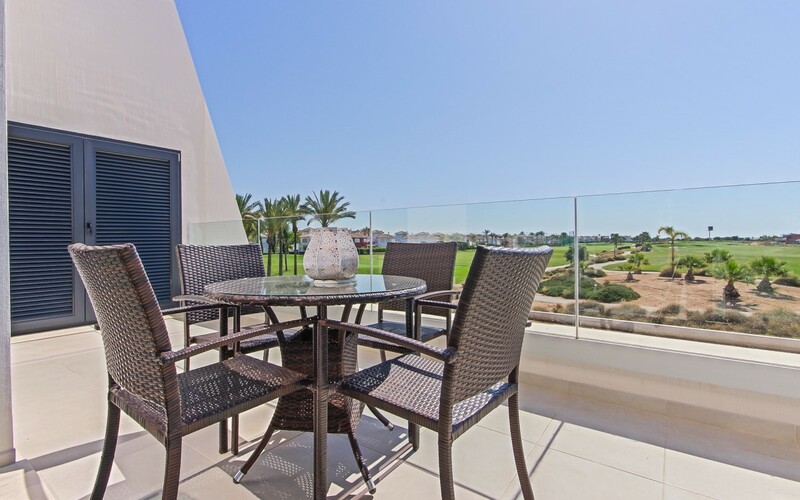 Located within the gated golf community of Mar Menor Golf Resort, this small development of contemporary homes over-look the 6th and 7th holes, are centrally positioned and walking distance to the 5 Star Hotel and Club House, a selection of bars and restaurants, a supermarket, onsite gym, kids play area and padal courts. 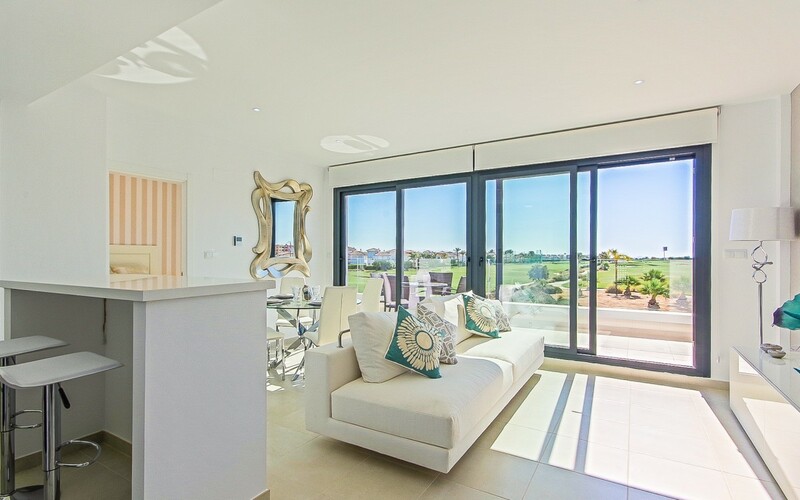 These contemporary properties feature spacious open-plan living and ample terracing. 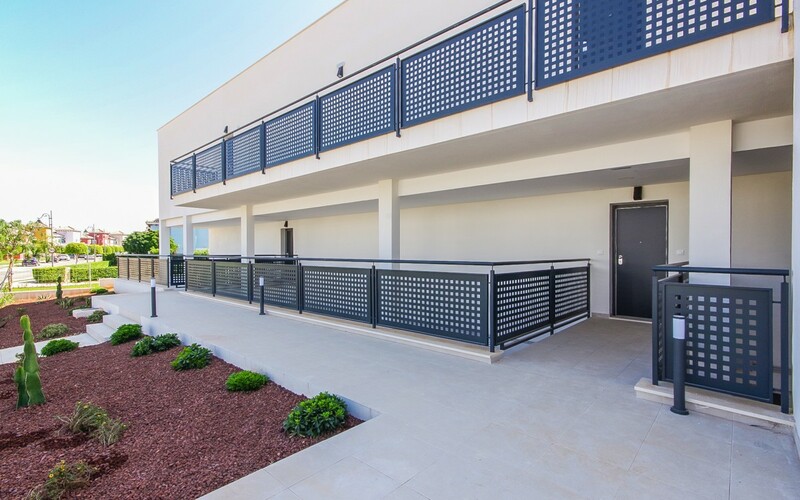 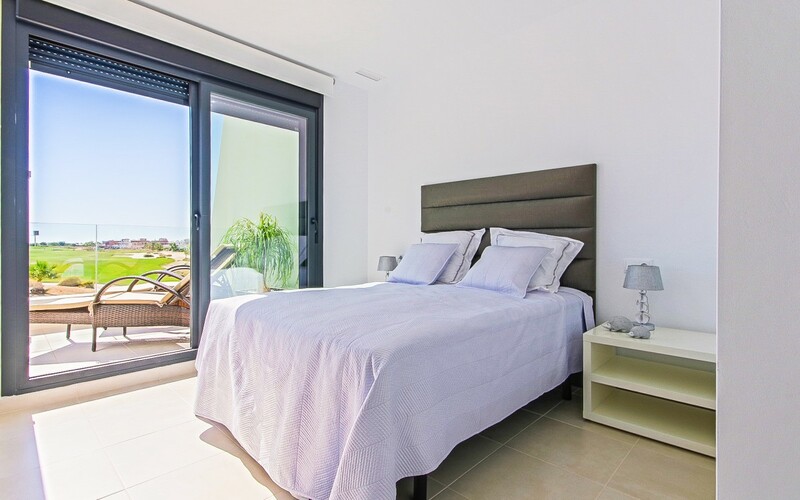 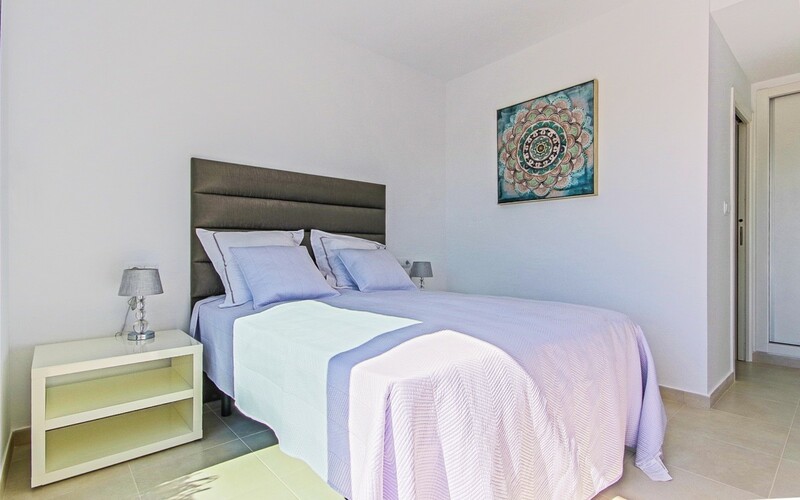 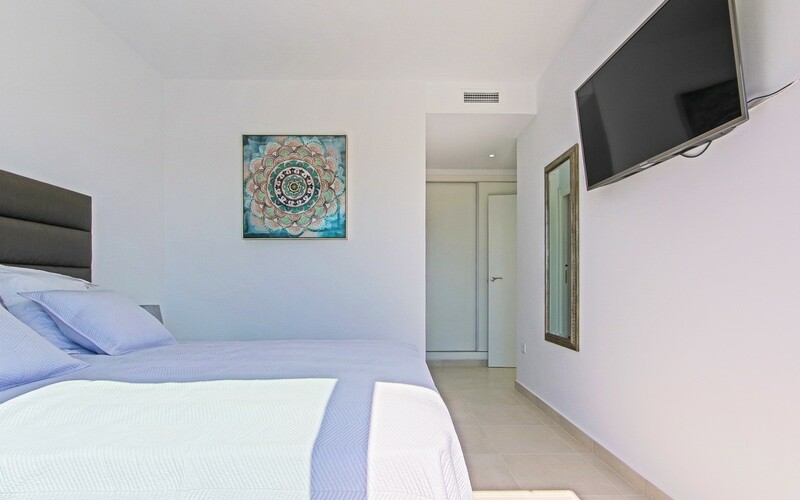 Offering two bedrooms and two bathrooms on either ground or first floor, with the ground floor units featuring a private garden, private terrace, a residents’ only communal pool and the option of having a private parking space. 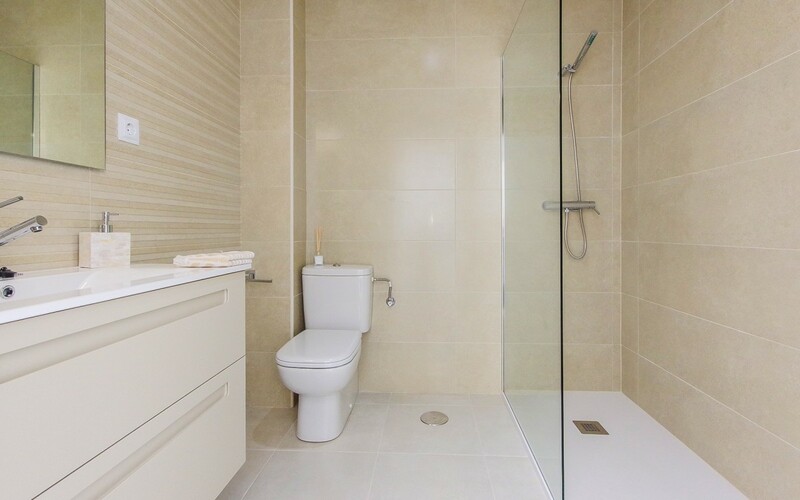 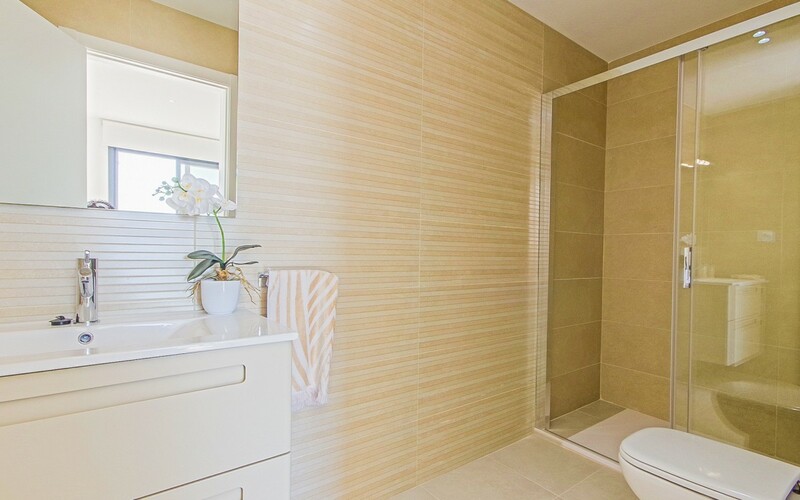 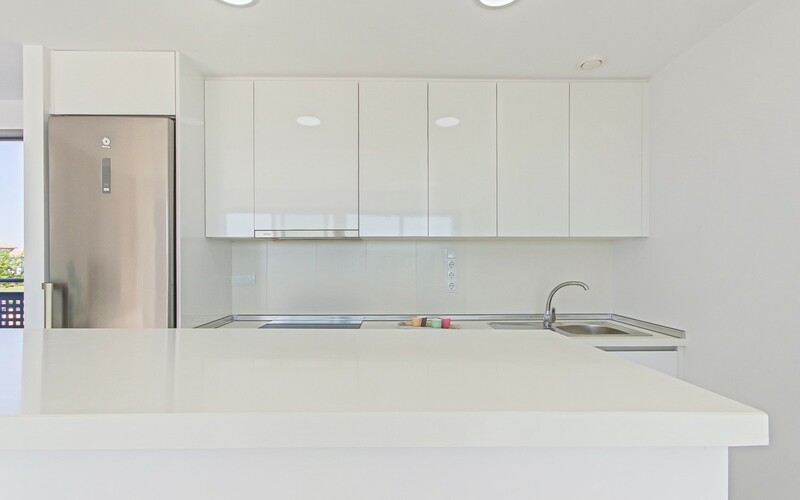 Built to very high-specifications they feature quality fixtures and finishes. 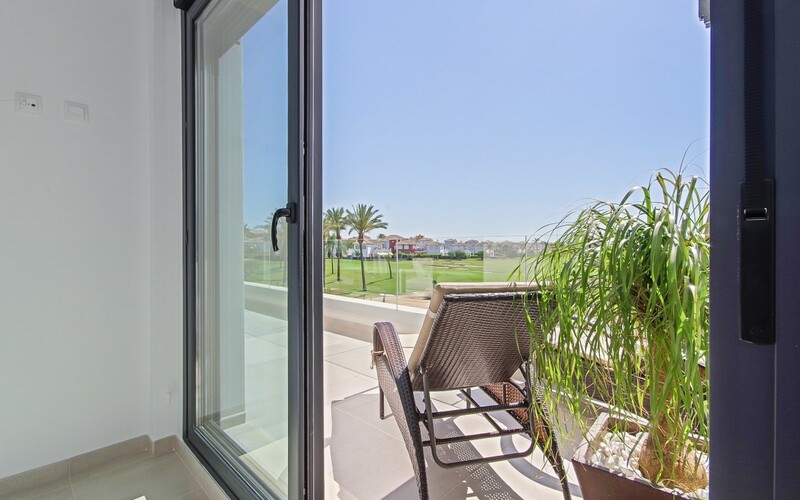 About the Mar Menor Golf Resort?